Snowballs, ice skating,sledding! Frozen toes, icy slush,runny nose. Well, winter's not all fun and games. 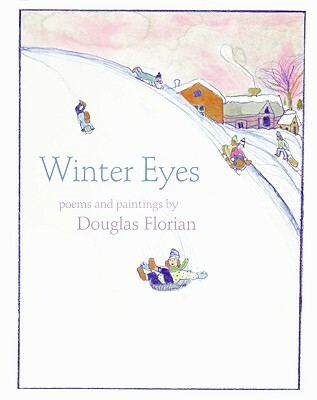 But well-loved, best-selling poet Douglas Florian will melt your doubts about Mother Nature's chilly grip with twenty-eight winter-inspired poems accompanied by his crisp, trademark watercolor illustrations. Young readers are sure to warm up to the uniquely keen vision of this wholly original volume. Whatever the time of year, Winter Eyes is just right for the season.